The best of Ducati research and design, inspired by the purity of racing sensations, in a blend of design and technology that has given life to legendary bikes. Ready to amaze you on track, you will never want the thrills to end. Performance The Brembo braking system guarantees high performance and maximum safety even on track. 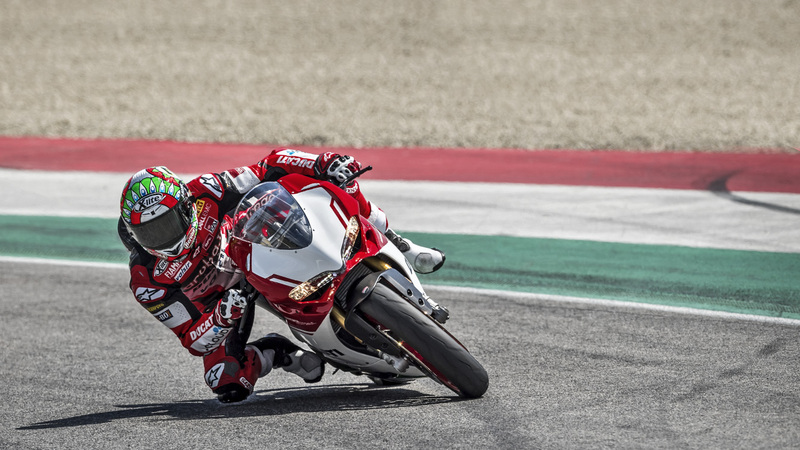 Combine Chaz Davies, the 1299 Panigale R Final Edition and the Mugello racetrack. The result? An exciting lap of the track with comments from the Ducati rider himself.